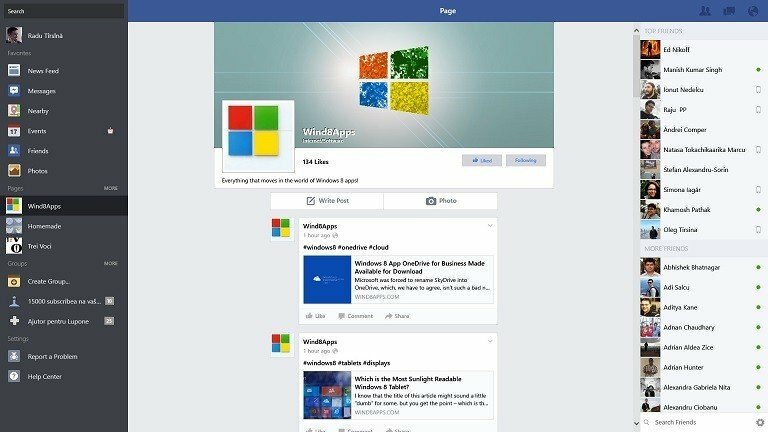 We have been waiting for the official Facebook app to land in the Windows Store for Windows 8 and Windows 8.1 users for quite a while, but now the app is here and it’s getting updated quite frequently to meet the requirements of its users. Facebook for Windows 8 launched about in the same time when Foursquare was released, but unlike the latter one, it has seen numerous updates. Initially, it had a pretty poor rating, but as Facebook worked on improving its features, the rating has improved as more and more folks have started used. For a certain reason, I haven’t used it yet on my Windows 8 tablet, but you will see in the video below how it behaves on a Windows 8 tablet. The latest update that Facebook has received makes it impossible to download the application if you are running Windows 8. You need to have Windows 8.1 if you want to enjoy the features of the world’s most popular social network. Also, the ability to turn off the chat has made its way, and it seems that video calling and chat problems have also been taken care of. 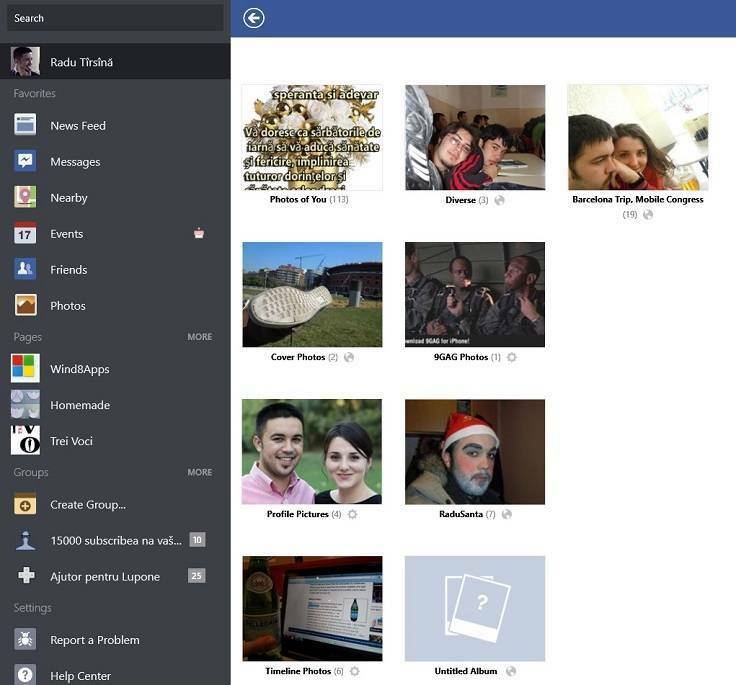 Other new features for the official Windows 8.1 Facebook app now include narrower margins for snap view in order to show more content; the ability to create, join or leave groups; new black and white high contrast modes; the option to edit privacy when editing posts. Also, now you can double-tap to zoom photos to their full resolution. Various accessibility enhancements and bug fixes have been put in place, as well. However, as you will see in the above screen recording of Facebook running on my Windows 8.1 laptop, it still has some troubles accommodating with high-resolution screens or maybe this is a local problem I’m experiencing. If you haven’t downloaded yet the official Facebook app for Windows 8 and Windows 8.1, follow the link from below and download the app which has a 13.3 megabytes size.